I have a few more commissions to get through. So it will be a great time for a giveaway. The New York Times article was very good for business for sure! So time for a giveaway. 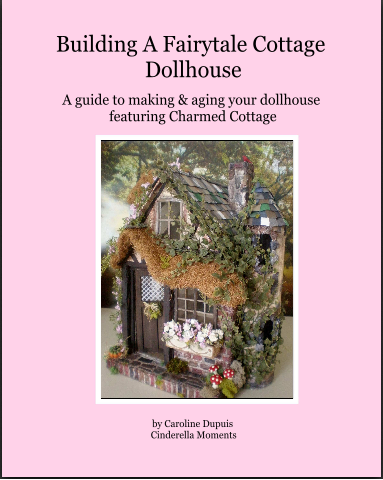 This time it's the PDF version of Building a Fairytale Cottage Featuring Enchanted Cottage. I'll choose 2 winners using the random number generator. Just be a follower of this blog. And if your profile is not enabled to public view leave your email in your comment. The winners will be announced on June 30, 2013. Good Luck! As for my next design project- it's coming up soon! I have 2 ideas I really want to get done. One is a french style house and the other another beach cottage. It is good to hear you have had a good result from being in the news paper! Yay! I can't wait to see the houses you build next! I would very very much love to win your fabulous book! Ещё раз поздравляю с публикацией в журнале! С любовью из России. Елена. Once again, congratulations to the publication of a magazine! With love from Russia. Elena. What an awesome give-away! I always love visiting your blog and seeing your work. Congratulations again on being published!! I would love to win such a beautiful treasure. This sounds like a wonderful give-away! Congratuations on the article! The New York Times! So cool! It's great for you, that you've got a lot to do. From my point of view, you've also got the best and biggest advertising one can get. Unfortunately I did not get The New York Times, they sell it only at weekends. I followed your link and have of course seen the article. It is so great. Enjoy your success. I would love to join in your giveaway. So please count me in. I will put a link on my blog. OHHH I would love, love, love to win your book. I think all your projects are fabulous!!!! Me encantaría participar en el sorteo, ya que sería estupendo poder ver como has ido construyendo la casita. Me encantará participar en tu sorteo!!!!! Que bien dos proyectos en mente,los seguiré de cerca!!!!!! Thanks for a great giveaway opportunity. I'd love to be in for a chance to win. Congratulations, your work is very beautiful! ¡Qué bonita!!! Si me tocasen los planes, seguro que intentaría hacer la cabañita. Count me in please! I will add you to my sidebar! Once again congratulations to your article. My gosh! I have a chance! I can't miss this fabulous opportunity, always follows you with pleasure. 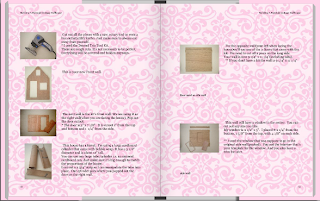 I would love the chance to win your wonderful book! It's awesome that the article helped business. Mine didn't do much of anything, but it was fun to see! Count me in for giveaway! Я очень рада за Вас! Я очень люблю Ваш блог! С удовольствием буду ждать Ваши новые проекты! Please, count me in your fantastic giveaway. I put the link on my blog. Subo el aviso a mi blog. Потрясающе!!! Ваши домики восхитительны!!! С удовольствием приму участие в игре!!!!!! Fantastico regalo! me gustaria participar! te anuncio en mi blog! Congrats on the NY Times article. And what a great giveaway--I have my fingers crossed. Wonderful news about all your extra work :) Please count me in your wonderful giveaway. Congratulations for your success by the New York Times article. Your link will be on the sidebar of my blog. Felicidades por su artículo, muy merecido. Congrats on your success! I would love to take part of this fantastic Giveaway! Just thinking about a Fairytale Cottage is exciting!! Le chalet du PDF est ravissant? Je m'inscris pour participer au tirage au sort. congratulations to the publication of a magazine!! !so awesome give away!!! !please count me in!so exciting!kisses! Hi I really want to participate in this giveaway. Please count me in. Herzlichen Glückwunsch für ihren Erfolg. Ihren Blog kann man den ganzen Tag anschauen. Soviele wunderbare Einfälle und immer die passenden Farben dazu. Ich liebe es bei Ihnen zu stöbern. Nun möchte ich auch die Chance warnehmen und auch in ihren Lostopf ! Weiterhin ganz viel Spaß bei unserem gemeinsamen Hobby. I was sure that the New York Times article would bring a lot for you, I'm glad for you. Your 2 new projects interest me a lot, a French house of course concerns me and a beach house is another thing that I love as you know very well. I can't wait to see what you're going to do with these plans. Your giveaway is great, please count me in. Que sorteo mas interesante, me gustaría participar, subo el enlace a mi blog. Felicidades por el articulo, me gustaría mucho poder participar en tu sorteo, te publico ahora en mi blog. Hallo Caroline, herzlichen Dank auf die Chance auf dieses wunderbare Giveaway. Ich möchte gerne an der Verlosung teilnehmen. Ich verlinke dein Bild auf meinem Blog. Thank you for the Chance to win a giveaway! I would love to participate and own one of your great books! I would love to take part into your giveaway. Please count me in. I'll pu the link into my blog. Thanks for the link to the newspaper, I had fun reading it. Your giveaway is great, please count me in. I'd LOVE to enter your wonderful draw - so I hope you'll count me in. Put a link to my blog. Caroline, Congratulations on being published in the NY Times! Such a great honor for you! Please enter me in your drawing, I'd love to win the book! Gracias por darnos la oportunidad de ganar este estupendo regalo. Me encantaría participar. Te anuncio en mi blog. Un abrazo, Arantza. Hi Caroline! I would love to join to your giveaway. Please count me in? I would like very much building your charming fairytale cottage, to realize a scene there " Godilocks and the 3 bears ". Your link is already for a long time on my blog. Oh Caroline, I can't wait to see what you come up with next. I love all your little cottages. I'd like to try to make one with a porch. I love your little cottage porch ideas! The perfect summer project, to be sure! Hi, I found you via the NY Times and love, love, love your blog! It's great for you, that you've got a lot to do. I love your cottages! Great giveaway. Please count me in. I´´ll place a link on my sidebar. I'd like to be in Your lovely giveaway! Thanks for the opportunity Caroline! I am lookinh forward to seeing your coming projects. would LOVE to win your newest book. I just love all your creations! Would love to win your latest book. I just adore all your creations! I'd love to be part of this giveaway! My email is ladybird235@hotmail.com (not sure if it shows in my profile here). If you will sell kits once, I'll be the first how buys it.love your work so much. What a wonderful giveaway! Please count me in!! Haha I am not the first one that would make a change...but...count me in as well. You know I love your work!!!! The 30 st of june.....that was my weddingday 35 years ago...we will be giving a party this year..35 years is not as commen these day's...so reasong for a party!!!!!! 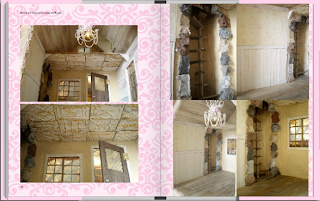 I hope to see so much more of your beautyfull houses...cause I ove it!!!!!! 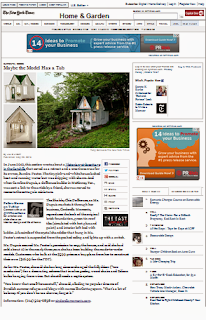 Congrats on the article...love your tiny houses. I am currently building your Streamside cottage and its lots of fun. Look forward to your next one and love giveaways. Please enter me in your drawing. I am a follower, and a lover of your blog. A hearty congratulations on being written up in the NYT! Wowser! I would love to be entered in your give-a-way. Just discovered your blog; I really love your work! I just found your blog and I must say I have been enjoying your work. Congrats on being featured in NYT. Please count me in for the give-away competition. Have a wonderful Summer , just as you like it! !